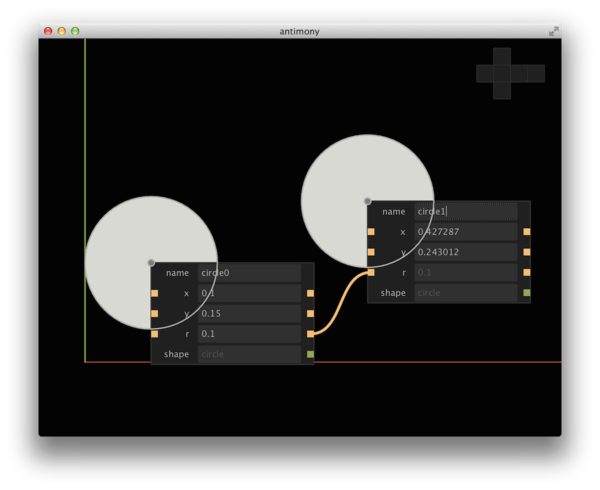 It bears a superficial resemblance to Grasshopper and OpenSCAD, but any similarities are only skin-deep. Primitive objects are chosen from an array of pre-defined shapes. Each shape is parameterized by a set of values. These parameters can be connected explicitly, as shown below. This kind of connection enforces an equality constraint between the values. Relationships can also be expressed as arbitrary mathematical expressions. This creates a huge amount of flexibility for parametric designs. 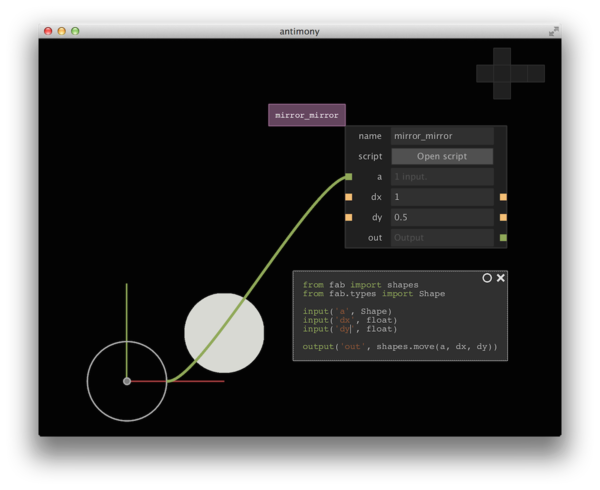 More complex objects are created through graph composition. 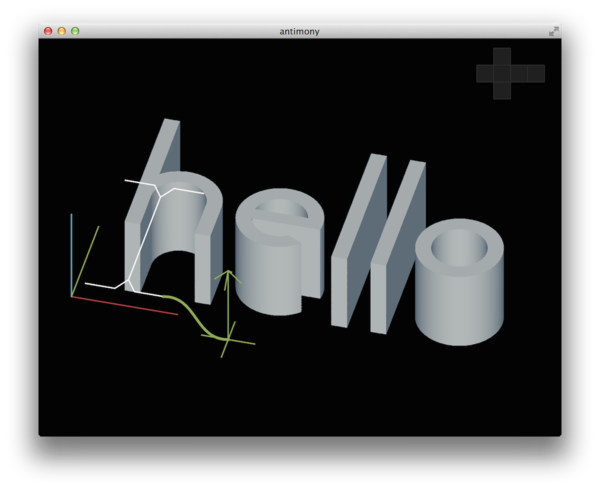 The example below links a text node to an extrusion node. Script nodes can also be used to define more complex shapes. 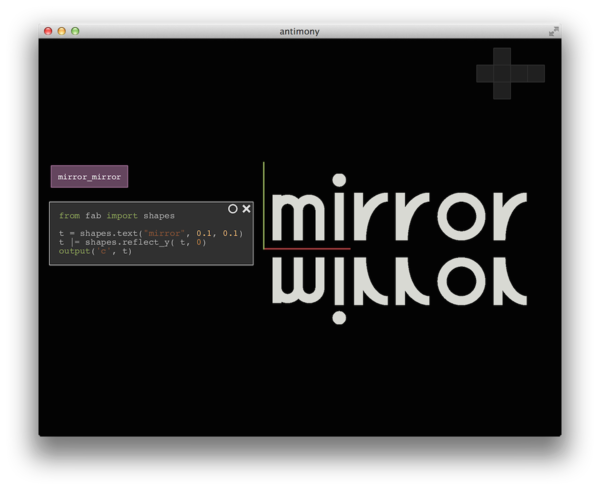 Scripts have user-defined inputs and outputs, making them very flexible. 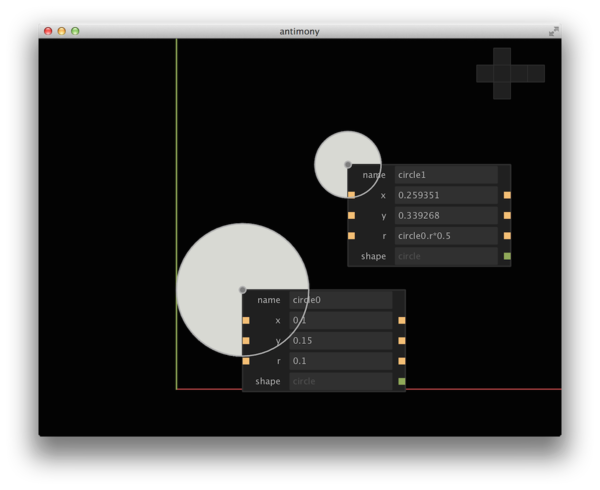 Antimony is still under active development, and should currently be considered alpha software. It is suitable for experimental and non-mission-critical use. 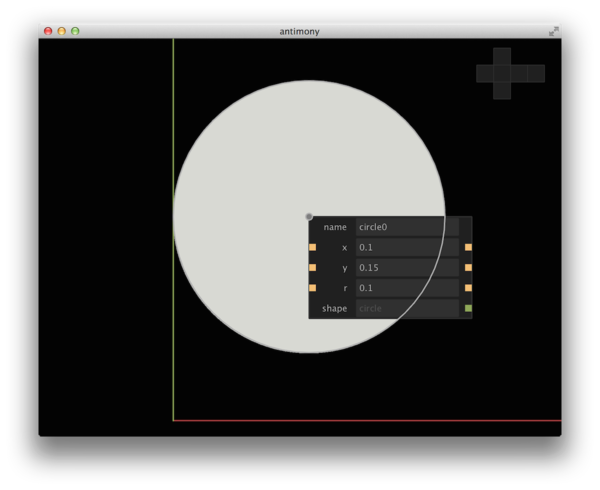 Antimony's source is available on Github, along with instructions for building it on Mac and Linux. Prebuilt Mac application is also available for download.